We bought my 11 year old daughter Rollerblades for her birthday and to our delight she has wanted to use them. At first she used my wife’s Rollerblades on our driveway and road, but since the street reconstruction she hasn’t been able to use her new blades. So we’ve taken her to a local park located next to a nice smooth loop of pavement to practice. Today I thought that she has become proficient enough to try a more interesting route, so I took her to the Rice Creek North Trail. 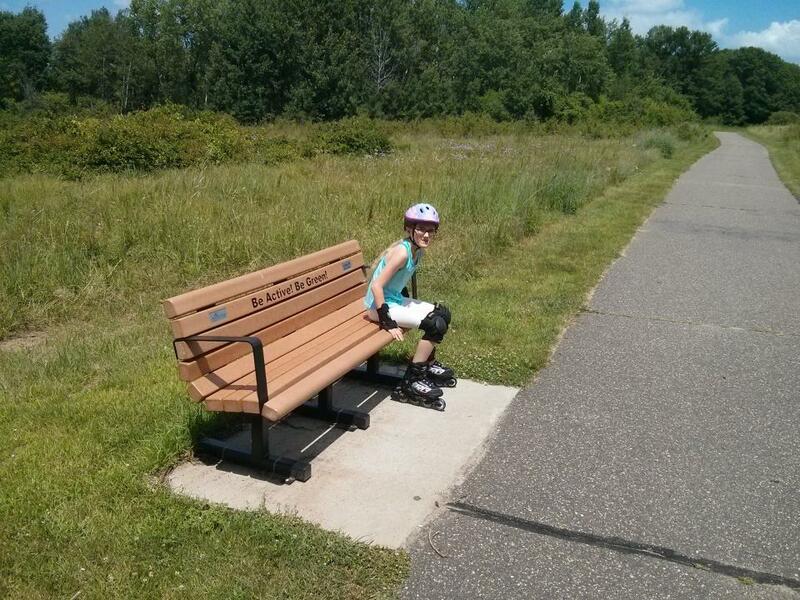 I’ve never actually skated on this section of trail, I’ve only ridden my bike. I knew there would be some debris on the trail, which I’ve been coaching her how to handle. On a bike I also didn’t realize how hilly it was, but if she is going to get better at Rollerblading, she is going to have get outside of her comfort zone. We only went about 1/2 a mile down the trail before she wanted to turn back, but we at least we got a few hills in and negotiated the forest debris without falling.